It is two sides,each side can load 6 kids. It is roboticized electric seesaw kids rides with lovely design. When playing seesaw, only more than two kids can play seesaw, so parents should take care of both two kids. Tell them if they do not want to play, they should inform the other side or it will be dangerous. 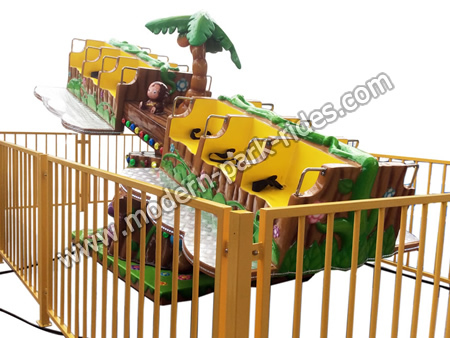 Modern Amusement is a professional manufacture specialized in design, R&D, producion, sale and after-sale service. We have three plants each with their own featured product, tourist tarins, boats, carousel, park rides, amusement ride and focus on OEM and ODM orders. No matter what kind of product you need, you will find the best for you. Each year we attend the global exhibition, such as RAAPA, Dubai Deal, IAAPA etc.